A poignant novel about a boy's friendship with a burn victim is perfect for fans of R. J. Palacio's Wonder. From the moment Jessica arrives, life is never quite the same for Tom and his seventh-grade classmates. Jessica was badly burned in a fire, and will be attending St. Catherine's while getting medical treatments. Despite Jessica's shocking appearance and the fear she evokes in him and most of the class, Tom slowly develops a tentative friendship with Jessica that changes his life in just a short amount of time. 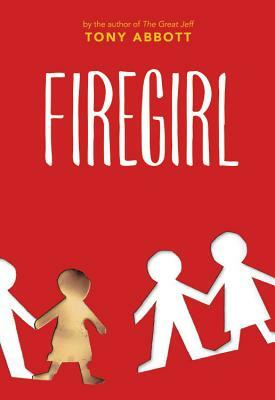 Firegirl is a powerful book that will show readers that even the smallest of gestures can have a profound impact on someone's life. Tony Abbott is the author of over a hundred books for young readers, including the bestselling series the Secrets of Droon and the Copernicus Legacy and the novels Firegirl and The Great Jeff. Tony has worked in libraries, bookstores, and a publishing company, and has taught creative writing. He has two grown daughters and lives in Connecticut with his wife and two dogs. * "This isn't the usual book about adjustment to differences; instead, Abbot brilliantly explores the kids' struggle to manage this intrusion of abnormality into their lives.... An understanding yet thought-provoking novel." "A touching story of friendship that is easy to read yet hard to forget." "In this poignant story, readers will recognize that even by doing small acts of kindness, people stand to gain more than they lose."